It’s June! Also the month of Papa! This month at TRU we honor all the men and dads out there. This has been a very sensitive time, where a lot of men are being called out for not good behavior. The power of the woman is in full effect...but I’d like to acknowledge and honor some really great men that have good behavior and make my life full and happy. Derek DBone Reckley aka my hubby aka my partner has been a part of this amazing journey with me and I literally couldn’t have done the store, or had a child, without him. He brings unicorn magic to everything he does and I’m beyond grateful to have this loving, honorable, creative, beautiful man by my side in everything I do. He makes Instagram, the store and my life much more colorful. I also want to honor my own Papa whom without I wouldn’t have a store. He taught me hard work, persistence, creativity, love and respect for what you do with your life. 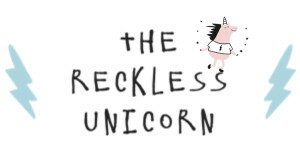 I deeply love The Reckless Unicorn and put my heart and soul into it. If it weren’t for my dad, I wouldn’t know the meaning of passion. I watched him my whole life, being a beast and a powerhouse, and I strive to be half as good as him. He is an icon, a trend setter, and a peaceful warrior. In honor of all the Dads our there, we will have all sorts of surprises and gifts this month. Tune into Instagram and your inbox for what’s to come... here’s hoping May gray took the place of June gloom and we see nothing but sunshine and rainbows!